Full Campaign remains open until Spring 2019! Take Route 76 to City Line Avenue (Route 1 South) Turn left on Belmont Avenue and proceed to the Avenue of the Republic. 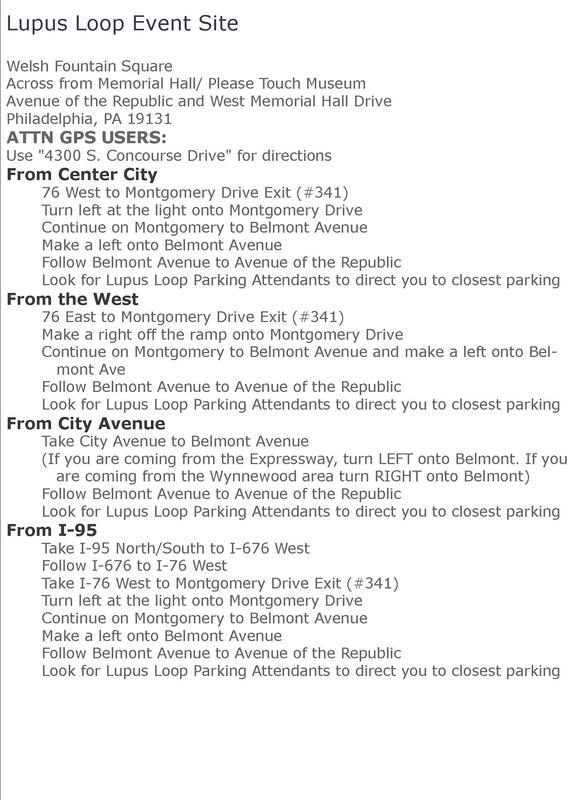 Look for event staff and signage to direct you to Lupus Loop parking.